The Au Sable Institute is again pleased to announce paid research opportunities for qualified undergraduates to participate in its ongoing research studies, all of which involve important aspects of ecological restoration in northern Michigan. This year's restoration research will include best methods for reforestation of abandoned oil pads and development of alternative habitat for the endangered Kirtland's warbler. All positions for research assistants are externally funded and provide a stipend of $5,200 and free room and board at Au Sable's Great Lakes Campus in northern Michigan from May 14th to August 10th. Au Sable's research program provides a valuable field experience and skills that can lead to employment after graduation. 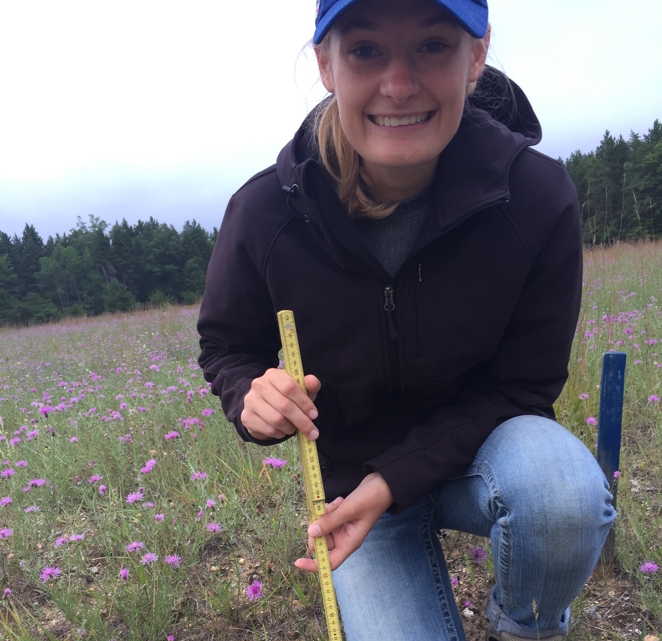 "The Au Sable research program has set me on the trajectory for graduate school," shared Alyssa Sargent, research assistant for the 2017 Kirtland's warbler study. "It was a demanding and challenging position, but it taught me that my passion lies in fieldwork and research, particularly that which is conservation-oriented. There is also something to be said for living in close community with like-minded peers and faculty that makes Au Sable feel like home. I wouldn't trade this past summer for the world." "I could not have asked for a better experience!" Michael Hindy, Alyssa's research partner on the 2017 Kirtland's project explained, "Through Au Sable's research program I gained lifelong relationships, while also gaining the confidence and experience necessary to launch a career in environmental research. Whether it was waking up long before dawn for bird surveys, or building friendships by the campfire on Big Twin Lake, my time as an Au Sable research assistant was a once in a lifetime experience." To read more about specific positions and to learn how to apply, click here!